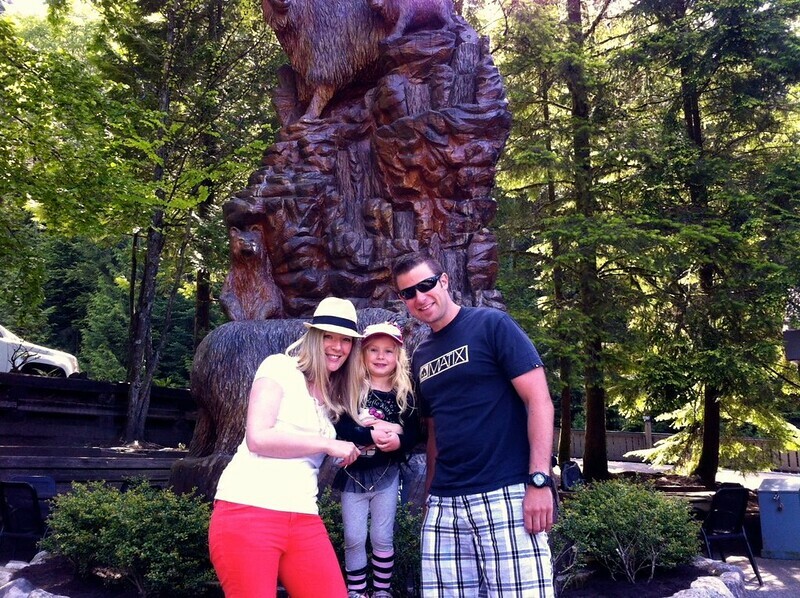 Grouse Mountain Resort is the perfect spot to play tourist in your own town! As school days have wound down and summer is officially here – today! 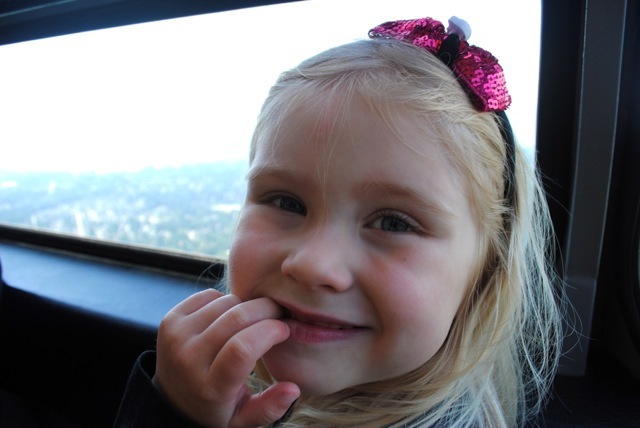 – I’m looking ahead to our niece’s annual visit to the city. Each summer she crams her little suitcase full of books, goofy sunglasses, and her own unique sense of style, and heads to Vancouver for some quality time with her favourite aunt and uncle. 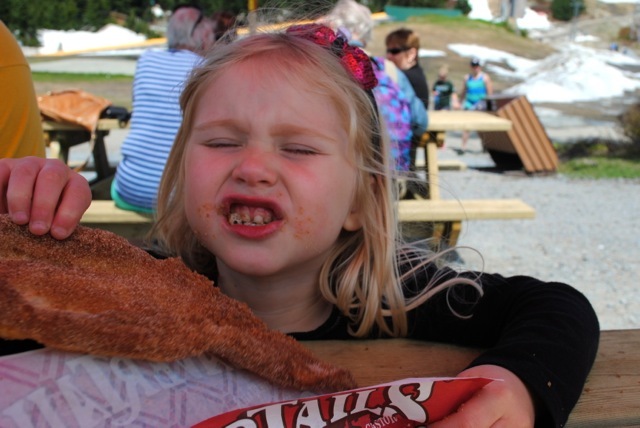 I have no idea what kind of adventure this summer’s visit will bring, but one of our most memorable excursions was a trip to Grouse Mountain Resort. 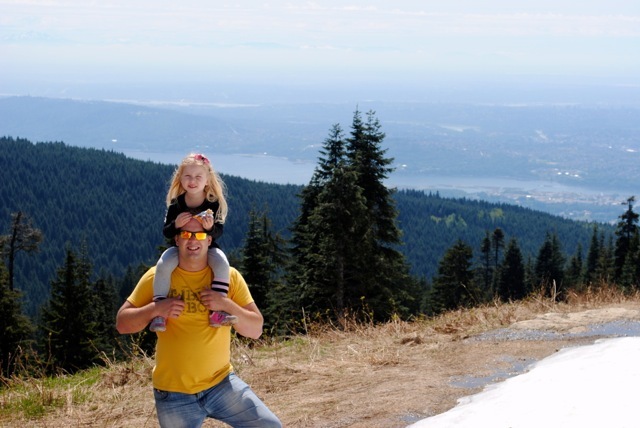 My husband and I have been visiting Grouse Mountain for as long as we’ve known each other – we hiked the Grouse Grind on our third or fourth date! Climbing the Grind is somewhat of a rite of passage for Vancouverites, but the task of exploring the top of the mountain in the summertime often seems left to the out-of-town crowd, so we decided to change that. Passing by the crowd funnelling through the entrance gate to the Grind, we bought our tickets to ride the Grouse Mountain Skyride tram and made our way to the Peak of Vancouver. Naturally, for a kid, getting to the top was half the fun! As we slowly rose above the treetops, we caught glimpses of the world below until the entire city skyline stretched out before us. 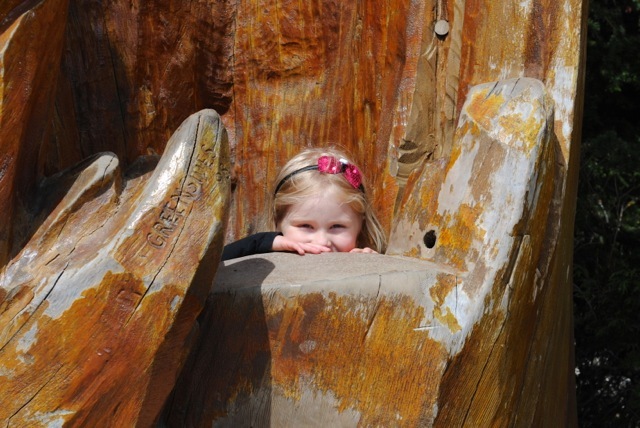 At the top, my niece made a beeline for the grizzly bear habitat. 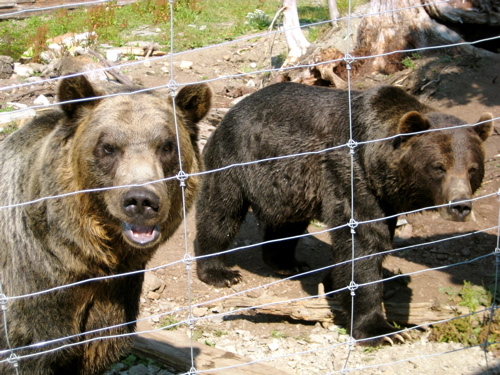 Since 2001, Grouse Mountain has been home to Grinder and Coola, two unrelated and orphaned grizzly cubs. 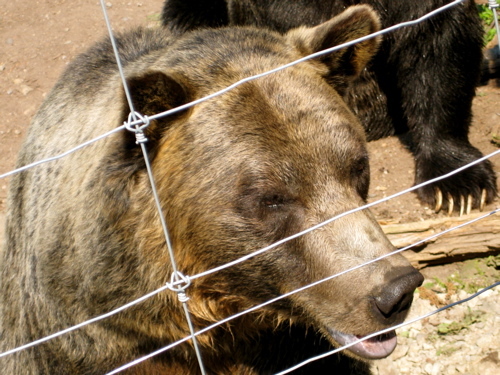 They are just two of several animals who reside within the mountain’s wildlife refuge. Today Grinder and Coola happily spend their days pawing at butterflies, overturning logs, or soaking themselves on hot summer days. 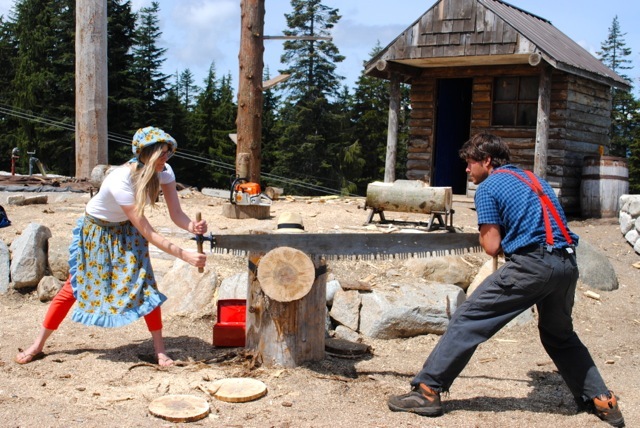 Several times each day Grouse Mountain features a Lumberjack Show – an often funny and always exciting showcase of incredible lumberjack feats. 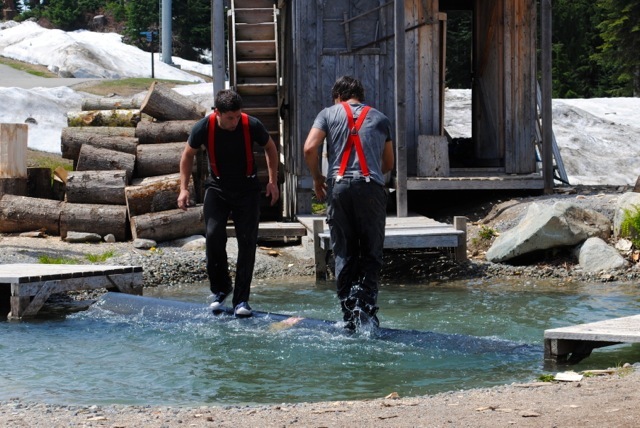 Tree climbing, log rolling, and axe throwing are just a few of the challenges presented as lumberjacks go toe-to-toe. One of the events in particular required audience participation. As soon as the call went out, my niece’s hand shot up. However, being too young for the duty, I was grabbed, garbed up, and given my chance in the spotlight. Er, sunlight. As a thanks for participating (my team lost, by the way), I was handed a ticket for a free Beaver Tails pastry treat. 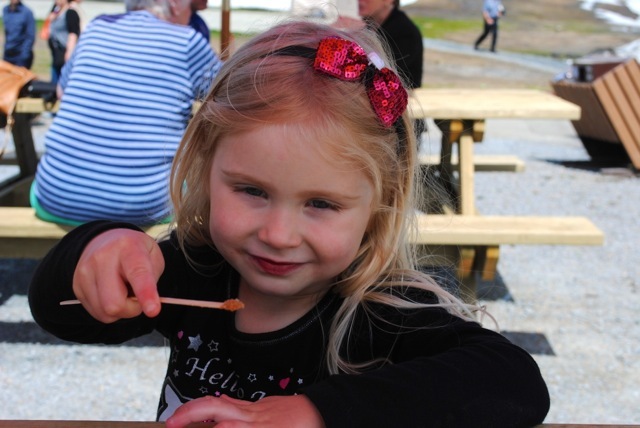 Sienna had no problem helping me finish every last bit of my cinnamon-and-sugar reward, though I’m certain most of it ended up on her face. 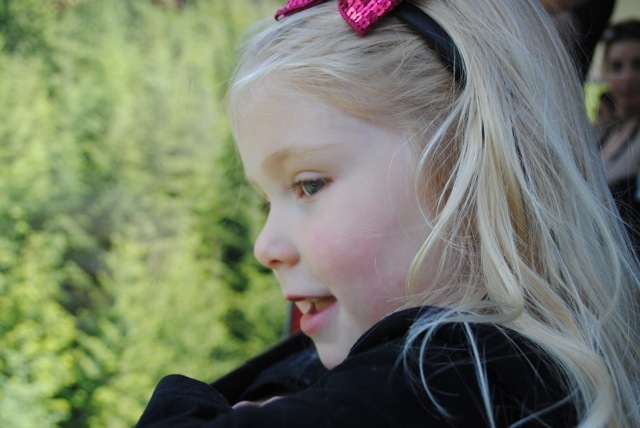 There was undoubtedly so much more we could have seen and done on Grouse Mountain – such as the The Eye of the Wind turbine or mountain ziplining – but a child’s attention span only lasts so long. The good news is it gives us plenty of reason to return again soon for more adventure! Sometimes the most memorable experiences happen not when you visit a far-off place but when you explore your own backyard. 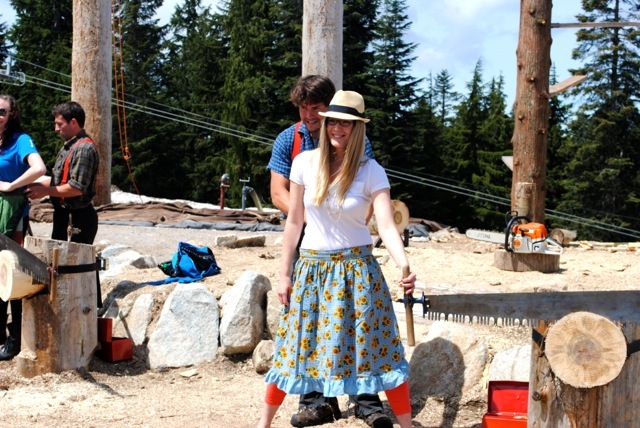 Grouse Mountain offers endless activities and amusement for anyone and everyone, and I feel so lucky we were able to see the mountain in a new, hands-on way! Grouse Mountain Resort is open daily with the first Skyride tram going up at 8:45 am and the last one returning at 10:00 pm. 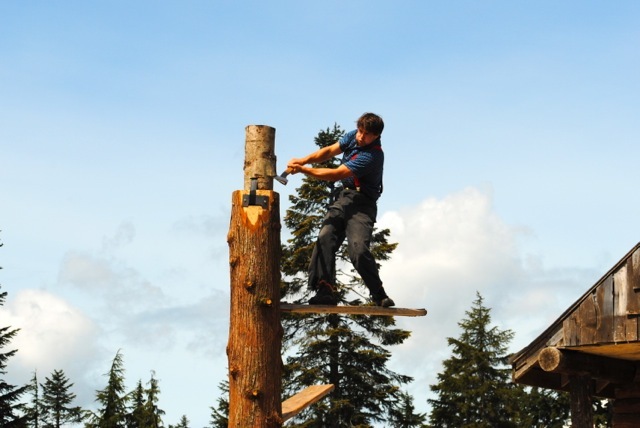 Various activities’ times vary so check with Grouse Mountain’s website for details. 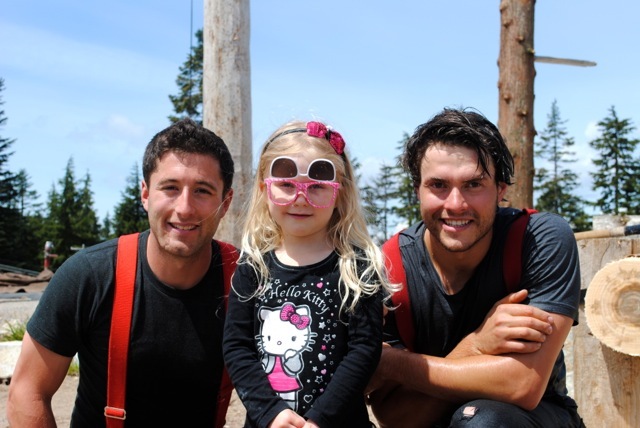 You can also find Grouse Mountain on Facebook and Twitter.